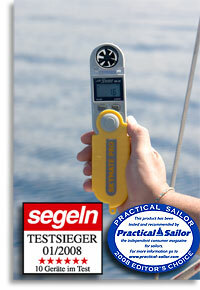 Welcome aboard to our class A wind meter and pocket-weatherstation shop. ... due to that we offer you windmeter, windgauges, barometer, altitude-meter, anemometer, compasses, severe weatheralarm, cross wind - head or tail wind reading, dew point, wind chill, hygrometers, mobile weatherstations, logs, depth sounder ... in many combinations. ... there are enough "Wind eggs" in the market. We offer only Gauges for measuring weather- and environment data, that satisfy our receivables to quality.